Mikey Garcia and Adrien Broner are both shy of 30 years old and have both won alphabet titles in multiple divisions. Each has been tabbed as a future superstar but both have had their career progress stalled by factors outside of the ring. Saturday they face off in Brooklyn. Neither man has had a bigger fight recent years. The winner will be well positioned for future superfights. Garcia will want to use his jab and lateral movement to keep Broner in front of him and to keep the action at medium-to-long range. Garcia has outstanding ring vision–he sees openings and capitalizes quickly. But he will want to give himself maximum space to see the speedy Broner. I have referred to Garcia before as a “patient shark.” He fights with careful, technical precision, but when he sees an opponent in trouble, he attacks and finishes them in a hurry. The undefeated Garcia has a KO percentage of 83 percent and has carried his power from featherweight to lightweight. But he is going to need to be especially patient with Broner. Broner has a good chin and fights well when he has been hurt. His sharp, explosive counter punching make him dangerous even when he is in trouble. Broner has been fighting bigger men than Garcia for the past few years. He will want to fight on the inside and impose himself physically, looking to slip Garcia’s straight punches and returning fire with compact right hands and blistering hooks. 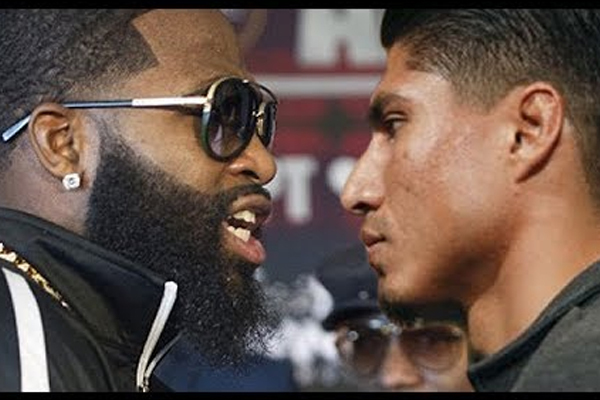 Broner had better come prepared to fight a full fight against Garcia. Garcia is the type of consummate professional who will simply out-work Broner, if Broner shows the same laziness he did against Shawn Porter in 2015. I can see this fight going either way, but ultimately, it’s not hard for me to pick Garcia to prevail. Even if both men come into the ring at their best, I think Garcia is the more well-rounded fighter. And I am hardly convinced Broner will be at 100 percent. I have seen him show up and fight at a lackadaisical pace in big fights before. Ultimately, this should be the win that earns Garcia exactly the kind of spotlight he deserves.